ACPLTKN – Page 33 – Almanya hakkında birçok şey. Misfortune on my technological devices continues with my Canon 500D Camera. Canon Rulez! didn’t workout this time. One night, my shooting test ended up noticing the hot pixels on the final photo. There were 4-5 colored pixels (blue or red) on the photo. They appeared on my London visit. Anyways, so I returned the camera back to the reseller Saturn on 30/11/09 (thank god they gave me another camera as replacement). Last week I received an email, telling me that it is repaired and ready waiting for me. I was happy to get it back finally, until realizing the hotpixels went triple. Now I have about 15-16 pixels on the photos. I returned it and we will see within 1 month if hot pixels will increase 30 more or will they be able to repair it. Posted byadmin January 28, 2010 April 21, 2010 Posted inBlogTags: 500D, Camera, Canon, DisappointmentLeave a comment on My camera is back at the service again! Today Apple released it’s new piece of baby to be seen by the whole world. The event was at 19:00 Germany time. I was on the way back home when I wanted to tweet something at around 19:30.. Twitter was overcapacity and reminding me to try again a few minutes later. 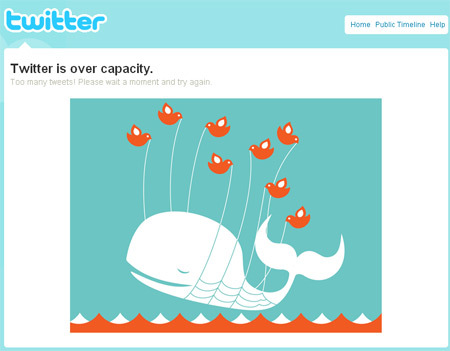 I think the reason which made the twitter go over the capacity was the iPad. Steve Jobs was making the talking, audience was tapping the keys. As expected iPad was the device, a bigger iPhone or iPod Touch. I don’t deny the device looks very classy and user friendly as an Apple gadgets owner. However I expect this device will also come with a short battery life. I’ve also watched the video on their website and told myself again; yes, these guys really know to do the marketing. They really know to fascinate the people, audience. They are talking as if they made something from zero. This is how you should address to the potential customers. I am seeing now in the blogs, tweets and statuses that people are impatient to have one. They are offering the prices cheap and it’s in one way very true. On the other hand they are making big markets addicted to themselves. They are preparing the ground and than collecting the rents and the shares from all users. I think Apple is one great leader of the on demand business, what they achieved with iTunes and AppStore tells so much. Now they are going in to the iBookStore, letting not only eBooks but also eMagazines, eNewspapers and anyother thing we are reading on paper, in hand. Congratulations. Posted byadmin January 27, 2010 April 21, 2010 Posted inBlogTags: Apple, iPad1 Comment on Apple knows how to do it! Posted byadmin January 27, 2010 April 21, 2010 Posted inBlogTags: Paris1 Comment on My Paris Shot! Is Facebook Making You Narcissists?? A column I’ve just read in IEEE Spectrum, liked it much and believe it’s very true. It is actually an introduction of a book “The Narcissism Epidemic” by Jean M. Twenge. I am going to read it asap. Take a look at it.. I tweet, therefore I am. Or is it, I tweet, therefore I am insufferable? As if Paris Hilton weren’t clue enough, we now have statistical evidence that young adults are a lot more in love with themselves than they used to be. In The Narcissism Epidemic: Living in the Age of Entitlement, Jean M. Twenge, a professor of psychology at San Diego State University, and W. Keith Campbell, a social psychologist at the University of Georgia, look to the Narcissistic Personality Inventory, which measures self-regard, materialism, and lack of empathy. They found that the number of college students scoring high on the test has risen by 30 percent since the early 1980s. The authors blame the usual suspects—the self-esteem movement, indulged children, unjustified praise by teachers, celebrity culture, reality shows, easy credit. But they also cite social networking tools, such as MySpace, YouTube, Twitter, and Facebook. Naturally, the book has its own Web site: narcissismepidemic.com. This article originally appeared in print as “Is Facebook Making Us Narcissists?”. Posted byadmin January 25, 2010 April 21, 2010 Posted inBlogTags: NarcissistLeave a comment on Is Facebook Making You Narcissists?? In the morning I was handling the databases which I created for different content management systems and previous blogs. I think I was still sleepy that I didn’t notice deleting my blog’s database. It was a really unlucky moment. I wasn’t in panic yet but looking for any backup file in the server. Unfortunately there wasn’t any. All the things I wrote since November (not much but doesn’t matter) was went up in smoke. At that moment I wanted to Google any keywords which I had in the articles and baam! I found all the articles cached in Google servers. It took about 15mins to copy and paste things back but I felt really happy. Thanks Google, for saving my articles..
Don’t make the same mistake but also remember that there may be a way to return it back. Just open your eyes and try to realize..
After Toshiba, Apple betrayed me too! Is the “Breakthrough Battery” slogan, a lie? Apple is announcing here that “A built-in battery powers MacBook Pro for up to 7 to 8 hours on a single charge”. However mine even can’t afford the 4th hour (even with no keyboard illumination, at the lowest level of screen brightness and 2 min after turn-off screen mode, no USB devices or cards attached, no resource occupying process – simple pdf files reading) as well as losing it’s Battery Charge Level capacity! My 1 month old MacBook Pro lost it’s Battery Charge Level by %9! plus the measurements are annoyingly inaccurate. In average with Coconut Battery App measurements, usual capacity of 5450 mAh is now 5074 mAh and this is not good. After recognizing the fault, I contacted Apple Germany and they gave me some ideas about calibrating the battery (that’s why I wrote the article below) and calibration didn’t work at all. After each calibration, I’ve faced with more lower measurements. So I am waiting for the MacBook’s Battery Charge Level to go below %80 as soon as possible (before 300 recharge cycles) and then I will ask for a battery replacement. Catastrophe: Apple Customer Service in Germany, I had 3 calls, hold on the line for 15 to 20 mins in each, listening the “we are sorry for keeping you wait” jingle! at the end jingle listening + problem description = no solution took about 35 mins x3 = 105 mins in total! If you consider that they are charging around 1/4€ a min! It was just money and time loss! I have been utterly disappointed with two Toshiba laptops I bought in the past so as with the Toshiba Customer Service. 10 days after it’s warranty ended (it had 2 years of international warranty), the mainboard of the laptop crashed totally. I’ve learned that it was a common fault for all Qosmio F10 series and ones in America called back and replaced for free.. Unfortunately in my case nor Toshiba Turkey neither Toshiba Europe disagreed for the replacement. Result: I paid 1150$ more and %0 of customer satisfaction. 5 months before it’s warranty deadline (luckily! it had 3 year of international warranty), the mainboard of the laptop crashed again! my f..king luck! I took it to the customer service. After 40 work days which equals approximately 2 months, I got it repaired. After 100x calls a day! Normally they had to refund the price! If you care about your mental healty, I advice you one thing: No Toshiba anymore! Posted byadmin January 12, 2010 April 21, 2010 Posted inBlogTags: Disappointment, Qosmio F10, Tecra M7, Toshiba1 Comment on Utterly Disappointed with Toshiba! During the last months, I was facing with it. I was forgetting this more often than usual. When I look back in time, I just remember people around me who were complaining about this problem. They were motivating themselves for eating more red meat or taking some vitamin pills in order to fix it. If you are having similar questions or concerns, it would be helpful for you also. Check it out.. If you would like to read this news simply click here. Was it because of Labyrinth??!! Yesterday while I was waiting for the boarding at the Dresden Airport. I started to play the game Labyrinth on the iPhone (which one was a gift by 12 Days of Christmas app). After playing 2-3 levels, I heard the announcement for the boarding. I pressed the home button as usual walked to the gate. The day before my flight, I checked in using the mobile portal and got a mobile boarding pass, similar to Austrian’s above. Unfortunately I couldn’t able to reach my home screen when the attendant asked for the boarding pass. iPhone stuck, no matter I did, I got no response. I tried to reset using the home and sleep button, somehow it didn’t restart. At the end, I couldn’t show it and they checked my identity card and check my status on their screens and let me get the plane. iPhone betrayed me because Labyrinth corrupted it system files or whatever. I send the reports over iTunes, hope it will help. Who would compansate it, if I would miss the plane? Illusion Labs or Apple? Posted byadmin January 6, 2010 April 21, 2010 Posted inBlogTags: Disappointment, iPhoneLeave a comment on Was it because of Labyrinth??!! My name is Giovanni Giorgio, but everybody calls me Giorgio!